Today, the 7th of September 2015, a group of global institutional infrastructure investors, including AIMCo, APG, ATP, Aviva Investors, CalPERS, Mirova, Ontario Teachers’ Pension Plan and PGGM, representing US$1.5 trillion, today announced the launch of GRESB Infrastructure, a global sustainability benchmark for infrastructure assets. The new investor-led initiative has partnered with GRESB, the global standard for portfolio-level sustainability assessment in real estate, to develop and establish a consistent global sustainability framework for the infrastructure sector. The assessment will allow more capital to flow into sustainable infrastructure and to raise the level of sustainability of existing infrastructure worldwide. 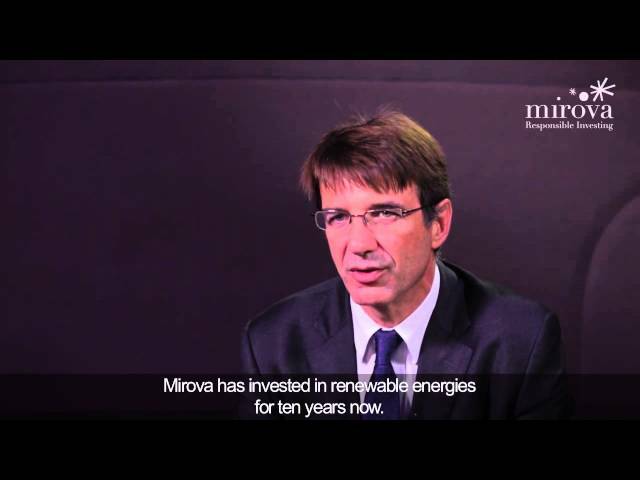 Mirova is supporting the Global Infrastructure Sustainability Benchmark (GISB) Initiative. As responsible investors, deeply involved in market organisation, we believe that the industry as whole need to build standardized means to assess the sustainability performance of infrastructure assets. There is both a need and an opportunity for industry leaders to join together to catalyze a powerful further acceleration in the integration of environmental and social performance, in order for the field to reach maturity, scale and sustainability.